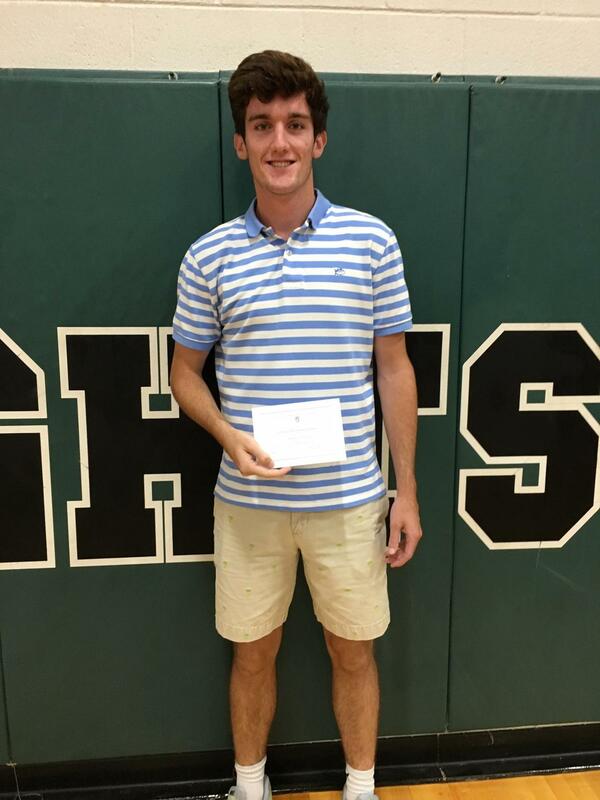 Class of 2019 member, Jackson Stone, receives a "Letter of Commendation" from the 2019 National Merit Scholarship Program. Jackson has been named a commended student in the 2019 National Merit Scholarship Program. Commended students are being recognized for the exceptional academic promise demonstrated by their outstanding performance on the PSAT. Of the 1.6 million students who took the PSAT 34,000 have been named Commended Students. These students do not move forward as semifinalists with the 16,000 highest scoring students, but we congratulate Jackson for his excellent score. The National Merit Scholarship Corporation sent Jackson a "Letter of Commendation" which states, “Your performance on the qualifying test was outstanding and recognition as a Commended Student is a credit to you, your parents, and your high school.”Greenfield is very proud of Jackson!